It’s long been a tradition to acquire new clothes for Easter. Easter – and spring – is a time of rebirth and renewal and fresh clothing in bright colors and patterns symbolize that as much as anything. A lovely springtime hat fits so well with that sentiment, though “bonnets” have perhaps lost the social meaning they once had. Time to bring Easter bonnets back, though. Spend a little time making Easter hat for your kids and you’ll have not just a hat to welcome the season, but you’ll have fun sun protections for the sunny months ahead. When Irving Berlin wrote, “Put on your Easter bonnet, with all the frills upon it,” the Easter bonnet was pretty well established in popular culture. We may have fewer and few Easter parades, but the idea of an Easter bonnet still brings a smile. And making an Easter hat, whether new or refurbished, is an easy and fun way to mark the season. While major department stores used to have hat sections, few do anymore. Milliners are few and far between. 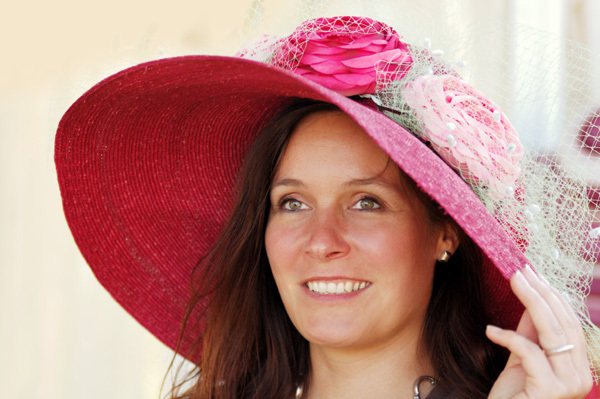 Hats – other than baseball caps, that is – are not as common anymore. Still, you can often find simple straw hats in summer displays going into stores now, and these are great for creating your own Easter bonnet. But don’t completely dismiss those baseball hats, either. A brightly colored baseball hat can be further decorated – permanently or on a temporary basis – just as well as any other hat can. Now for the frills! Your local craft store is a great resource for silk flowers, ribbon, even jewels or paint to affix to your Easter hat. With glue or wire you can stick and twist and arrange just about anything you find to a hat with a brim of any size. You can go simple or complex, serious or whimsical. You can also get very silly with your easter hat. Small rubber duckies and simulated ponds on wide brimmed hats, or a baseball theme for the superfan in the house, or just about anything you can think of. The word “bonnet” may sound quaint, but creating an embellished hat to welcome spring is anything but. It’s a joyful, fun expression of the renewal of the season. With some glue and whatever decorations you choose, you can turn a simple hat into an expressive Easter bonnet.? Do bunny rabbits make good Easter gifts for kids?